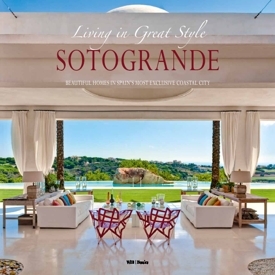 Sotogrande is Spain’s most luxurious holiday resort. Located on the far south-easterly tip of the country, it offers breathtaking views of Gibraltar and Africa. In fact, it was an American by the name of McMicking who, in the early sixties, launched Sotogrande as a private resort for aristocrats and bankers, providing them with a discrete hideaway where they could shirk the trappings of their position. Nowadays, Sotogrande has become a melting pot of jet setters who flock to this exclusive resort from the far corners of the world. And little wonder, for its stunning avenues, wonderful marina, luscious greenery and typical cork oaks all contribute to the uniqueness of this resort. During the month of August, however, this little part of Andalusia becomes the epicentre of polo. Sotogrande is also acclaimed for its magnificent golf courses, take the mythical Valderrama Golf Club, for instance. Living in Great Style. Sotogrande offers you a guided tour of the architectural masterpieces and variation Sotogrande has long been known for. Interiors in every conceivable style: from the traditional Andalusian, highly colourful and southerly style, to timeless, modern decors through to the most original of contemporary designs. This book opens the doors to countless unique interiors which, up and until now, have remained well hidden from the public eye. A stunning coffee-table book that will transport you to another world, an absolute must for every interior-design aficionado. Different prices in different countries. Please contact VdH Books for more information.